Learn to LOVE IT and Make More of It! If you could use MORE MONEY, this show is for YOU! You may be doing all the right things and still not seeing the results you want as easily as you know it can be. It may not be what you are doing, but rather, what and how you are thinking. 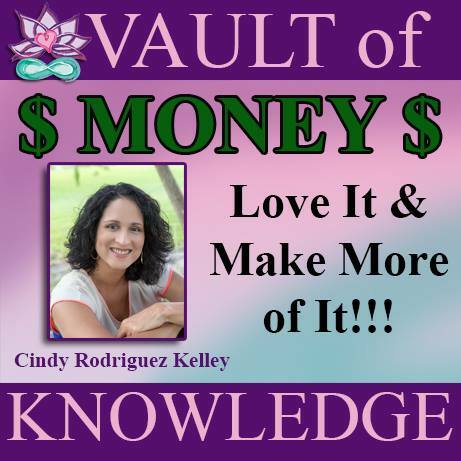 Listen as Cindy Rodriguez Kelley shares how to reframe your money beliefs and refill your bank account!